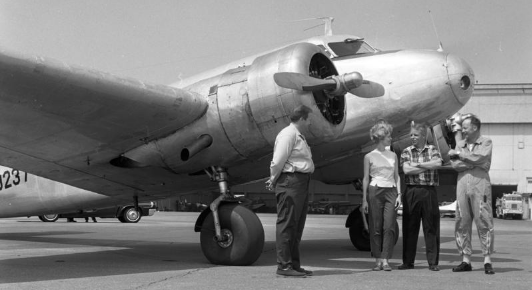 50 years ago this week, 30-year-old Ann Pellegreno took off from Willow Run in a 30-year-old Lockheed 10A Electra to recreate Amelia Earhart's 30-year-old attempt to circumnavigate the globe. Though national media referred to Pellegreno a "housewife from Michigan" she actually worked as a counselor and teacher for Saline Public Schools. To hear all about Pellegreno's flight, check out this week's Ann Arbor Stories. If you listen carefully, there are several clues for the AADL Summer Game hidden in the program.